Zest Air celebrates its fourth year anniversary this March and with that, the low-cost airline is offering as low as 4 pesos of discounted base fare on all destinations. This latest seat sale promo officially begins today and will be available for booking until, April 2, 2012. The travel period is August to October 2012 and january to March 2013. Seats are limited, so book as soon as possible. Looking for promo fares for your travel on June to August 2012? Here's a really nice deal from the largest low-cost airline in the country, Cebu Pacific. They announced earlier a new seat sale promo featuring slashed down base fares for selected domestic destinations including Boracay, Bohol, and Puerto Princesa. Hey there low-cost travelers! Here's a really nice deal from Zest Air. The low-cost airline announced early today a new seat sale promo offering as low as 300 pesos of base fare on selected domestic destinations. This latest promo deal will officially start on March 28 and will be available for booking until March 29. 188 Pesos Fare! That's the latest deal with the largest low-cost carrier in the country, Cebu Pacific Air. In this latest seat sale promo, they have discounted both domestic and international destinations including Davao, Cagayan de Oro, Kalibo, Hong Kong, and Kota Kinabalu just to name a few. Book your tickets at www.tigerairways.com or their ticketing office. Here's the latest deal from the fastest growing airline in the country, Airphil Express. Today they have sliced down the fares of selected domestic destinations to as low as only 288 pesos. 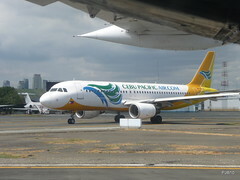 Included in this promo were Manila and Cebu routes. Please check the list below for further information. 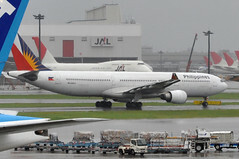 Trivia: Airphil Express is a subsidiary of Philippine Airlines (PAL). They witnessed the fast growth of their passenger count last year. CEBU PACIFIC EXTENDED 288 PESOS SEAT SALE! Pay less for your travel if you avail the latest seat sale promo from the largest airline in the country Cebu Pacific. 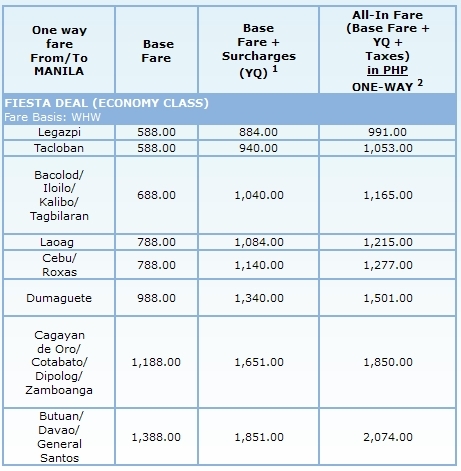 The number one budget carrier slashed down the fares to as low as 288 pesos for those traveling between the months of May and August 2012. If you are interested, you can check the available destinations in the list below. Everybody loves free! So, here's a great news from Air Asia Philippines, a subsidiary of AirAsia, the largest low-cost airline in Asian region. The budget carrier has just announced free seats for those traveling from Clark to Puerto Princesa. You only have to pay the surcharges and aviation free totalling only 275 pesos. Book your tickets at www.airasia.com or their ticketing office. Low-cost carrier Airphil Express announces early today a new seat sale promo offering fares as low as 588 pesos. The destinations includes vacation spots on both Luzon and Visayas. These includes Boracay (via Caticlan) and Puerto Princesa. Here's the latest payday deal from the country's most refreshing airline company, Zest Airways. The low-cost carrier have slashed down their airfares to as low as 312 pesos in their latest seat sale promo. The sale is covering most if not all, Zest Air domestic routes (all coming from Manila). If you are looking for a cheap fare on international destinations, then this promo may just be the right one for you! Budget carrier Cebu Pacific Air proudly announces today a new seat sale promo offering discounted rates on their international destinations. The discount is as much as 50% of the regular base fare. The fastest growing airline company in the country, Airphil Express (former Air Philippines) announces a new set of promo fares for selected domestic routes. This promo slashed down fares to as low as 188 pesos on the routes from their newest hub: Clark. Fly PAL for as Low as 77 Pesos! Philippine Airlines announced yesterday a new promo: Buy one regular domestic ticket and fly your second ticket for as low as 77 pesos base fare. Fly a regular international/regional flight and fly your second international travel for as low as $7. It's more like a buy one take one type of promo. Low-cost airline Airphil Express announced a new seat sale promo offering discounted seats on several domestic and international flights. This latest seat sale sale slashed down the domestic fares to as low as 188 pesos and international fares to as low as 788 Pesos. On the domestic side, the destinations on sale includes vacation destinations such as Puerto Princesa, Coron (Busuanga) and Boracay (Caticlan). On the international side, on the other hand, flights to Singapore and Hong Kong were discounted as well. Airphil Express (previously Air Philippines) announced a new seat sale promo on selected domestic destinations. Some Manila to Luzon and Visayas routes were discounted to as low as 288 pesos. For instance, Manila to Naga or Tuguegarao's base fares were only priced at 288 pesos. Booking DetailsBook your tickets at www.airphilexpress.com or their ticketing office. Want to travel from August this year (2012) to March next year (2013)? Well, the largest low-cost airline in the Philippines, Cebu Pacific proudly announces a new seat sale promo offering huge discount as big as 90% off on all domestic and international destinations. This promo officially starts today and will be available for booking until March 9, 2012. Please take note also that this promo is only available online. No booking of this promo on ticket offices will be entertained. Book your tickets only at www.cebupacificair.com. The fastest growing airline in the country, Airphil Express had just announced a new seat sale promo offering as low as 1 peso base fare on their new routes: Clark to Davao, Kalibo or Puerto Princesa. This is the latest among the consecutive expansion moves by the airline company. The largest airline in the country, Cebu Pacific, has announced a new seat sale promo offering discounted rates on selected domestic and international destinations for the months of May to July 2012. The base fare of selected destinations were slashed down to as low as 288 Pesos, a huge discount relative to regular fares. To be able to avail of this discount though, you have to book your ticket now until March 7, 2012. Booking DetailsBook your tickets at www.cebupacificair.com or their ticketing office. Here's the latest deal from the fastest growing airline in the Philippines, Airphil Express: a four-day special seat sale promo offering as low as 188 pesos of base fare on selected domestic and international destinations. On the domestic, the low-cost airline slashed down the fares on Cebu and Clark routes. For international, Cebu-Hong Kong flights is now only 888 pesos (base fare). Low-cost carrier Cebu Pacific announced today a new piso fare seat sale promo offering base fares slashed down to as low as 1 peso. This time, the one-peso fare promo is offered on selected Cebu routes as well as Davao and other destinations. The travel period is on the third quarter of 2012 from June to September. This trademark promo offer was started by Cebu Pacific several years ago and is one of the most awaited deals from the airline company.